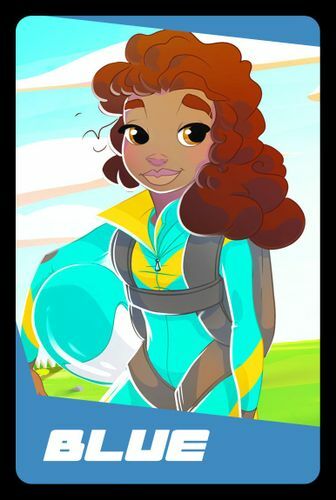 Synopsis: Do you have what it takes to be a skydiving master? 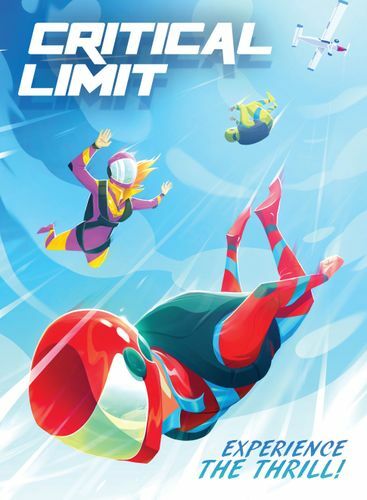 As a hunger for the new skydiving sport "Critical Limit" spreads, you must show the world you are the best at what you do. You and your competitors will compete in a series of contests, trying your best to thrill the crowds with your daring speed and impressive maneuvers. Be careful though! Those who push it too far will not have a soft landing. 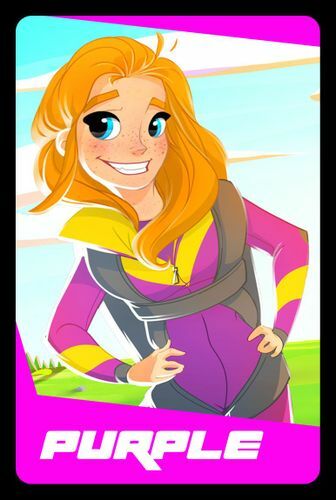 Learn from your experience and become the world's first Sky Diving Master! Summary: Players will simultaneously reveal what position they will fall in. Will you perform a dive for high points? Be careful, if you focus on the ground you may crack under the pressure. Will you fall in style to impress on-lookers? Or have you already cracked and started Boxing to slow yourself down? After players positions have been revealed they will now simultaneously reveal at which velocity they will fall. High Speeds bring great reward and high risk, where slower speeds will dampen your risk, but bring in less reward. After all velocity choices have been revealed roll the corresponding die to your choice starting with those who chose to move at the slowest velocities. All players who chose the same velocities will share in the same roll, but how they mitigate the roll may be different based on which positions they decided to fall in. Collect the most points by increasing your risk, but be careful, if you don't deploy your parachute in time, you may lose it all. Earn EXP points based on what place you came in and customize your character. Then get ready for the next race. 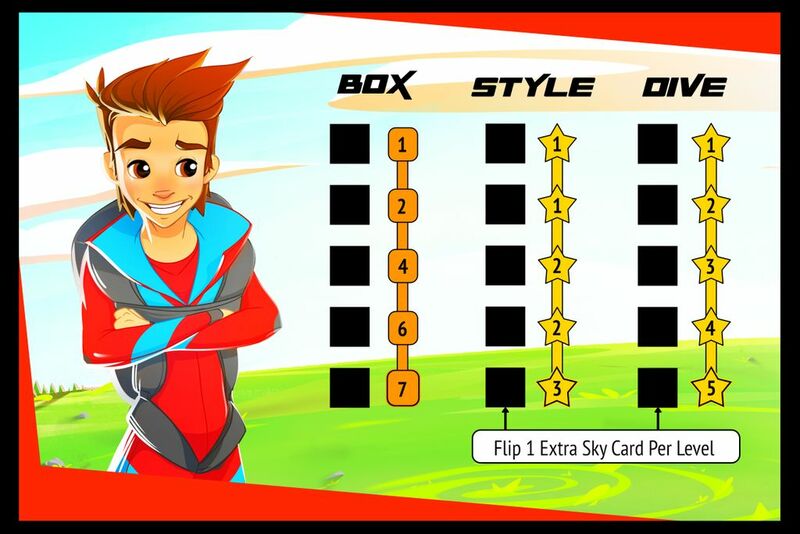 The first to master all positions will become the Skydiving Master and win the game! Sounds fun! I would love to hear more about the details of the rules. Press your luck is one of my favorite mechanics - I think it's underutilized. Hey Ric! I would have to agree. A great aspect of press your luck is how it gets emotions involved. The anticipation of "did I make it or didn't I?" adds a lot to a game. The rule book will be added soon! Thanks for your interest. Feel free to subscribe so you get updated as PDF's and Images are posted. Meet your first Character yet to be named! What would you name him? Post a comment! 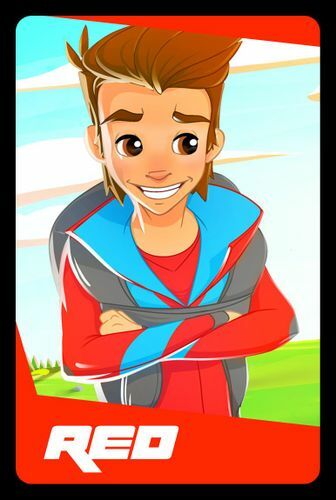 Meet the second Character! What name would suit this beauty? Post a comment! Meet Green! 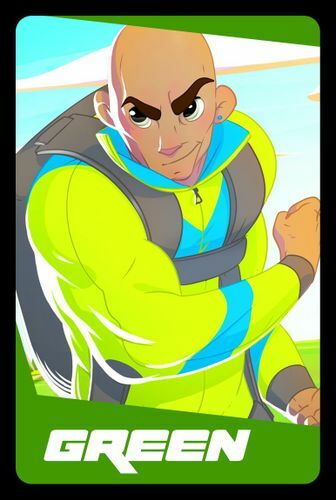 He's a tank of a skydiver! Great Art and neat concept - Subscribed! Red looks like a Derrick, Purple an Alexa, and for Green, I actually like the name "Tank". This only works of you don't have one of those Amazon Alexa things! Purple is clearly Irish (redhead), so something like Kelly, Fiona or Shannon might be more appropriate. This is Blue. She's a champ and she knows it! Whats Blues name? I really like the idea of "Tank" for Green. Thats a good point. It would be cool to have a name that goes back to the roots for Purple. 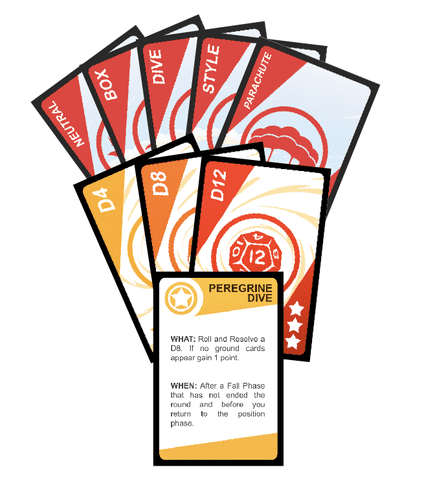 "Critical Limit" starts with giving each player 3 "Determination" cards. 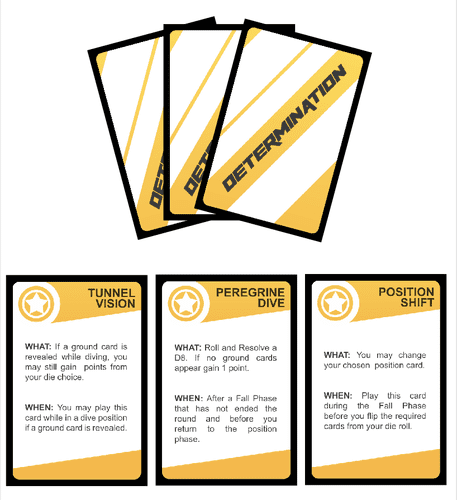 Determination cards contain 1x uses that will help a player gain the upper hand in a round if played at the right time. 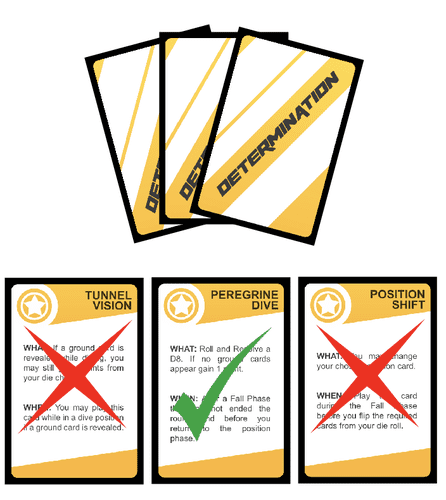 Each player will have to pick 1 Determination card to keep and the other will be shuffled back into a pile. The Determination card they choose to keep will be added to their hand. 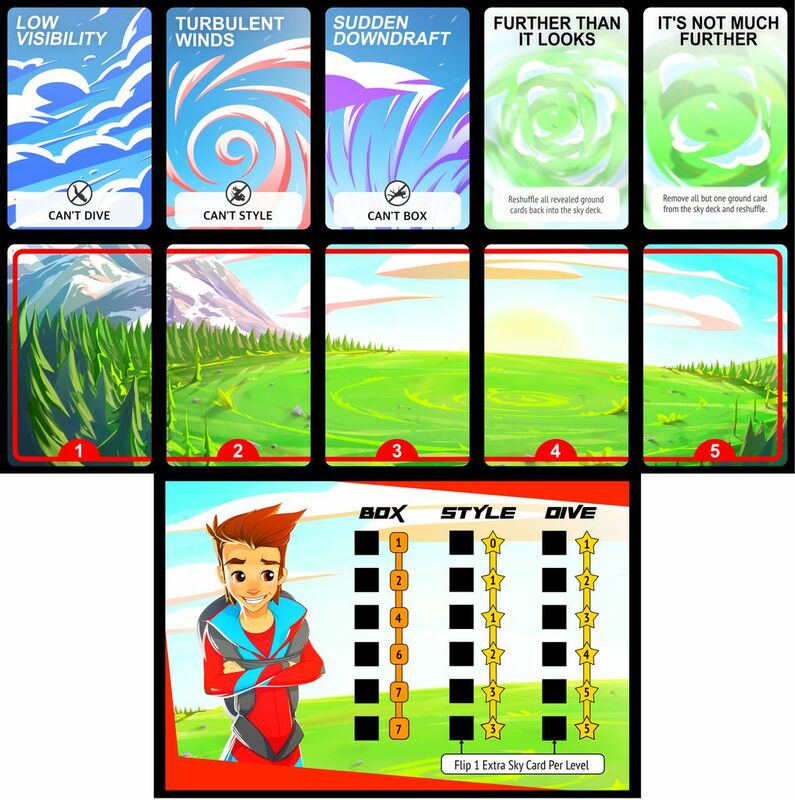 "Determination" Cards along with "Position" and "Velocity" cards will form each players hand. 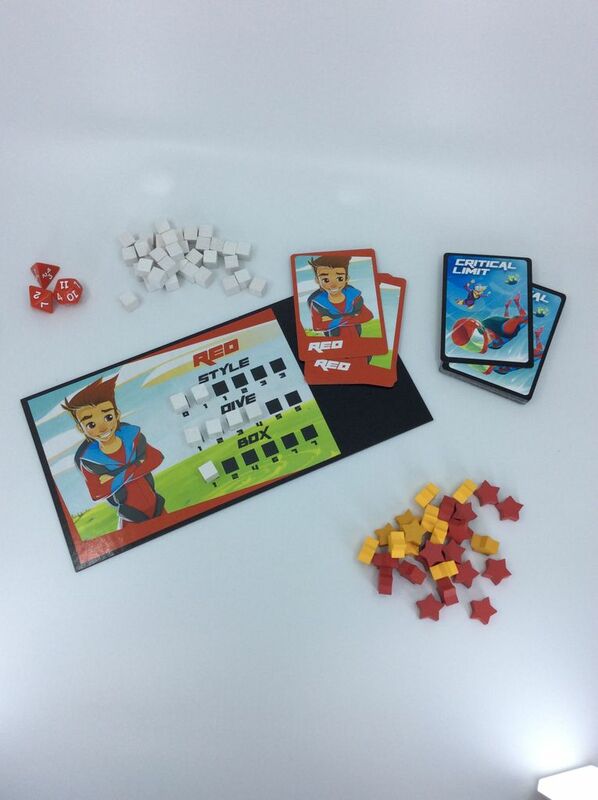 Our prototype from Game Crafters arrived today after what seemed like a long time, but what a pay-off! 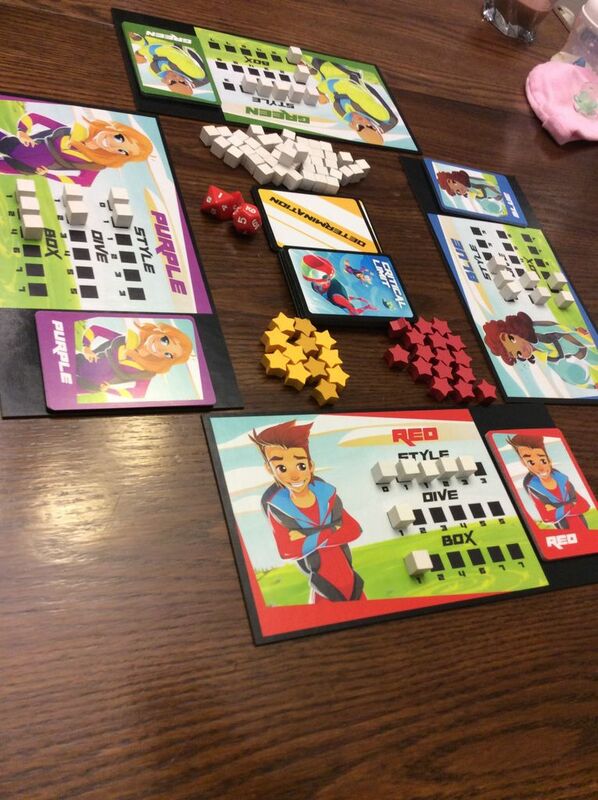 Immediately we got it to the table and had 6 play-tests this evening. Tell me in the comments! What do you think of what you "see"? Likes, dislikes, suggestions? P.S. Keep in mind this is still prototype! New Updated Player Boards! The new graphic design helps in recognizing the differences between your 3 actions. The cards look very nice! Looking good Trevor, the artwork really brings the game to life! The game's looking really good. Those are some great name choices! There is gonna be too many to choose from! Thanks Derrick! We were fortunate enough to get Stephen Gibson to do our artwork. He's known for his artwork and design on "Grimslingers". We agree he did a great job! Thanks Tyrone! Im really looking forward to getting it into other peoples hands. The SKY is the perilous passage to the ground. The SKY DECK is what everyone will press their luck milling through. 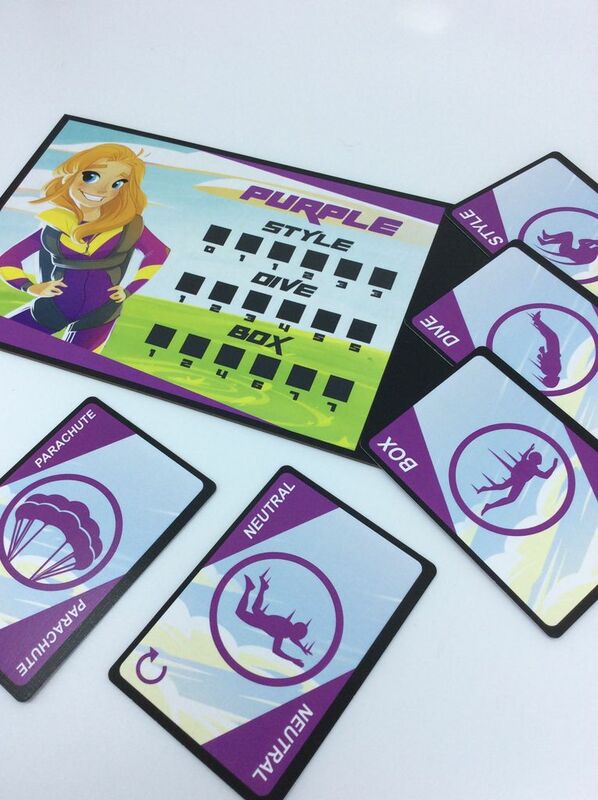 Each "Ground" Card that comes up can sweep your plans from beneath you, but be careful, If you complete the panorama before deploying your parachute there will be a mess to clean. Meanwhile as your falling you'll have to navigate the perilous weather and keep your nerves from cracking. On the player mat, would it be possible to make the boxes for the cubes slightly indented. This way the cubes don't move around as easily? Hey Jonathan! I like the idea of Carlie! With the goal of putting this up on KS I would love this games components to be as great as possible. I'll have to do the math to see what could be reasonably expected but I think CUT OUTS for the cubes are a MUST. Then depending on funding if its possible to have double layers then that'd be great!